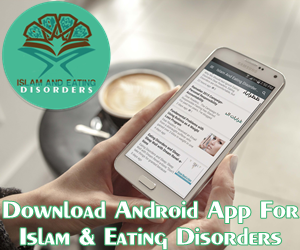 You are at:Home»Binge Eating Disorder BED»Binging in Kuwait! Overcome Binge Eating – We Can’t Stop Binging If We Don’t Even Know When We Are Hungry! Binging in Kuwait! Overcome Binge Eating – We Can’t Stop Binging If We Don’t Even Know When We Are Hungry! Overcome Binge Eating – We Can’t Stop Binging If We Don’t Even Know When We Are Hungry! Binge eating is the most common eating disorder and it can affect anybody. I received an E-mail from a reader, who speaks about her struggles with Binge Eating in Kuwait. I’ve suffered from Binge Eating Disorder for over four years now. It all started after my father’s death. I want to know if there’s a medicine available to help treat Binge Eating Disorder? I want immediate solution. I can’t tell you how stuck I am. We live in Kuwait and my wedding date is set for late November 2015. Though my fiancé has not made any comment on my weight , I feel horrible in myself. I am always so nervous around food. I see food and I honestly get hunger pangs, it’s like I haven’t eaten for days. I’m always famished. Last week was terrible, I started a diet. I was OK. Morning Juice was OK. To distract myself, I went family shopping. I then went to fish market and I was OK.
And then I got so nervous and I wanted to Eat and Eat. I couldn’t help myself. I drove around all jittery and shaky and if I could have I would have devoured each and every food place in the country. I stopped in Slider’s Station for a quick bite and then I lost control. I couldn’t help my self. Next Stop A Family sized Take Out Meal from Johnny. Eating All that Food all by myself near Kuwait Pier was the most humiliating and isolating expereince ever. My car windows steamed up and the smell of fried food was everywhere. Later in the night, I suffered from terrible stomach pains and shortness of breath. It took me nearly a week to get over that binge.I can’t tell you the self-hate, and feeling of failure that overcame me. I heard there’s a new drug in market, Lisdexamfetamine Dimesylate . Would you recommend that? I don’t like taking medication and I want to beat this illness naturally. There is currently no medication available to treat people with binge eating disorders, although certain medications may be used in combination with other treatments. Lisdexamfetamine Dimesylate is a new drug in market for people suffering from Binge Eating Disorder. This is a drug normally used to treat ADHD in adults and kids.According to Time.com: A drug that can treat both ADHD and an eating disorder may seem like an odd pairing, but lisdexamfetamine dimesylate works by acting on the dopamine and norepinephrine systems in the brain, which are two pathways that help control rewards and control. People with binge eating disorder can experience reward dysfunction and be very impulsive, similar to symptoms in people with ADHD. Norepinephrine helps with focus and concentration, while the dopamine helps recalibrate the rewards system—so the drug may help binge eaters feel more in control and able to avoid mindless eating. I personally would stay away from this type of drug and would opt for natural treatments and therapy. The worse a person’s binge eating becomes, the harder it is to disguise the side effects. If you believe you have an eating disorder, please seek immediate help. Overcoming and Defeating Eating Disorder is extremely difficult. Unlike most addictive substances, food is absolutely necessary for a person’s survival and cannot be avoided. Instead, sufferers have to retrain their brains and learn how to rebuild their attitudes towards food. Good news is BED can be treated successfully without referral to specialized centers. helping them achieve and maintain a healthy (but realistic) body weight. The most-studied intervention for BED is CBT, which leads to remission (abstinence from bingeing ≥28 days) in 50% to 60% of patients. CBT techniques for BED adapt readily to self-help program. Please Find Below a Wonderful Resource and Help for BED. Catrina Bengree is brilliant and uses natural approach to beating Eating Disorders. Please do download first chapter of her book for free. (You’ll see the link at the end of article). My dream is to show people how to develop a healthy relationship with food. Through Natural Eating you can love and trust yourself enough to make the right choices for you. Natural Eating is not what you eat, but how you eat. It is a process of eating that relies solely on your body’s natural signals of hunger and satisfaction. I discovered Natural Eating after experiencing 6 years of depression and Bulimia. I used to binge uncontrollably and then exercise excessively to get rid of the food. I had weight and food issues for at least 20 years with my weight going up and down constantly. Since discovering Natural Eating I have been the same healthy weight since 1996. Through my Company Nourish ‘N Nurture I run seminars and coach individuals and groups in Natural Eating, providing encouragement and support, empowering you to be free from dieting forever. A free e-book is available on the home page of my website. Time and time again when I talk about eating when we are hungry I get told, “I never have hunger pangs”, or “I don’t even know when I’m hungry”. Unfortunately we will never learn to eat naturally and stop binging if we don’t know when we are hungry. This is the first step in the “Natural Eating” process. Once you get that right, the other 3 steps are easy to follow. 2. We eat too much every time we eat. Firstly, people often tell me they don’t feel hungry when they are not eating frequently enough throughout the day. What tends to happen is that they will have breakfast at say 7 in the morning and then not have anything else until they have lunch about 12 or 1pm. Then they will have their evening meal at say 6 or 7 in the evening. The problem with this way of eating is that 5 or 6 hours is too long to go without food. Originally, our body tells us after about 3 hours that it needs something to eat. If you constantly miss the signal because you are busy or choose to ignore it, eventually you won’t notice it any more. This causes your metabolism to slow down, until eventually you are absolutely starving, you can’t eat quickly enough and then you start bingeing. Secondly, some people have got into the habit of just eating too much every time they eat. Again this can be because we don’t “allow” ourselves to eat in between meals, so we have to eat large portions when we do eat to carry us over until we’re “allowed” to eat again. Unfortunately our stomachs are only the size of our fist, so if we eat large amounts all the time, then over time it will stretch and we find we are eating more and more to fill it. Because we are eating too much, our body struggles to process the food and we never actually feel hungry because when we go to eat again the last meal has not been properly digested. Both these scenarios lead to binging because we are either starving a lot of the time or overfull, but not actually satisfied. If we aren’t satisfied we tend to keep eating to fill that void or need, even if we know we’re not hungry. The only way to know when you are actually hungry is to ask yourself. Start the day with breakfast as it will kick-start your metabolism and then 2 or 3 hours later you should feel the sensation of hunger. If it has got to 3 hours and you haven’t noticed anything, then actually ask yourself, “Am I hungry?”This will bring you into your consciousness so you can experience the feeling. If you don’t have breakfast your body won’t be able to get going and you won’t notice you’re hungry until you are ravenous and then binging is likely to occur. Continue to ask yourself regularly throughout the day so you can experience the initial feeling of hunger. Then you can make the appropriate choice in a controlled manner, you will be satisfied sooner and the bingeing will reduce and eventually stop completely. Natural Eating is all about how you eat not what you eat. It is a positive alternative to dieting, which simply enables you to tune into your own body so you eat only when you are hungry and stop when you are satisfied. Enjoy your favorite foods without feeling guilty or overeating. Improve your total health and well-being. Gain peace of mind around food and weight related issues. Food should simply be used to nourish our body, nothing else. We need to learn to listen to our body’s natural signals of hunger and satisfaction. Salam sister. This makes me so sad. I suffer from BED and I’ve gained 10 kilos in 3 months. I just can’t stop eating. Thank you for sharing this. I will look into this.